BRISTOL - A proposal for moving City Hall to 10 Main St. is still active, with Mayor Ellen Zoppo-Sassu and the City Council requesting more information about environmental, financial, and legal aspects. The mayor and council discussed the proposal in executive session for almost an hour and a half Wednesday night. Afterward they voted unanimously to further investigate it. There are still questions to be answered, “and so we have to do our due diligence, on a project this size it’s really, really important,” Zoppo-Sassu said. Last year before the November municipal election, the council had discussed the possibility of the move, along with consolidating the Board of Education, Youth Services, and other departments nearby at the former Memorial Boulevard School. At the time, then-Mayor Ken Cockayne said he was willing to look over the financing options and information. Zoppo-Sassu, who was then the Democratic candidate for mayor, said relocation was “an interesting idea” for consideration. Lexington Partners and D’Amato Realty originally presented the plan to the council and the Board of Finance in a joint meeting more than a year ago. 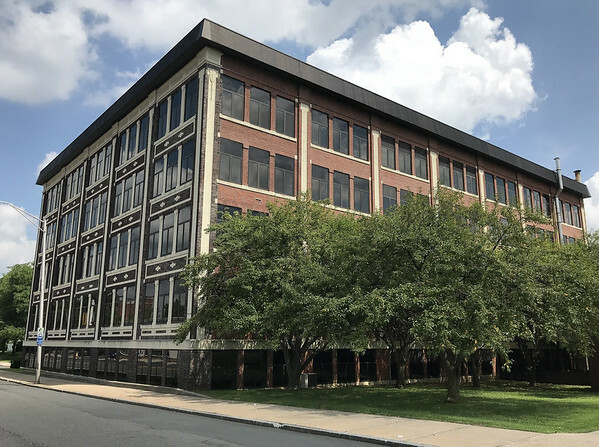 Martin Kenny, developer and owner of Lexington Partners, explained that earlier in 2017 D’Amato Realty took control of 10 Main St. and had been working on ideas to develop the property. Kenny told the council then that relocating City Hall would mean having it located in an “iconic” building that had been recently updated with efficient floor plans and lots of windows, and with flexible financing options available. Kenny, and Kyle Meccariello, from D’Amato Realty, told the council and finance board the move could save the city money because the existing City Hall is costing substantial dollars due to deferred maintenance and operations. Their presentation included conceptual floor plans that showed how the city departments would fit in the building, except the City Council chambers, which could require an addition to the building. Meccariello said the companies were aware a relocation plan would have to coordinate with plans for Memorial Boulevard School. The city and Board of Education are working on plans to convert Memorial Boulevard to an arts magnet school. Kenny said relocation means the city could consolidate departments that are currently housed in four buildings - the existing City Hall, the school board at the old South Side School, Youth Services at 5 High St., and the planned arts magnet school and arts center at Memorial Boulevard - into just two buildings. The brick/masonry office building at 10 Main St. was built in 1918. It is five stories high and 61,472 square feet, on 3.35 acres, and appraised at $1,465,000, according to the city assessor’s website. The current owners are listed as Webster Bank National Association and D’Amato Construction. Posted in The Bristol Press, Bristol on Wednesday, 8 August 2018 21:15. Updated: Wednesday, 8 August 2018 21:18.